Luis, soon you will start to Makalu. Do you feel something like stage fright? No more stage fright because we have made too many expeditions, but of course we are a little bit excited. Preparations drag on. When the time comes, it’s like a spring that is released. We are looking forward to our expedition. This is already your second attempt on Makalu. Will you have a different attitude? Yes, I do think that it is different. We have tried so far no mountain twice, not even those where we did not reach the summit. This is actually the first time that we will it the second time. We are really prejudiced. We just remember the last time. And we are also a little bit more under pressure. First, we are staffed differently. 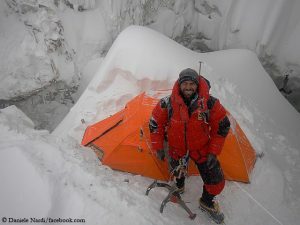 We have a friend in our team, Florian Huebschenberger, who was already with us on Nanga Parbat. So we are three now. Maybe we also want to try a different route. But generally, expeditions are never quite the same. The weather is different, the conditions are too. Therefore, the schedule will always be a little different. We have a maximum of two months for the whole trip. This is more than what is needed. But if it takes shorter, we would not say no. Until now you have been climbing the eigth-thousanders via the normal routes. 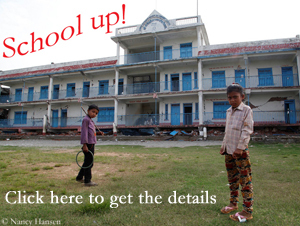 Will you do it on Makalu too? You suggested that you may choose a different route. We will climb on the normal route, but maybe we want to try a variant in the upper part. We need to see what the conditions are like. Only then we will decide whether we really want to try it. 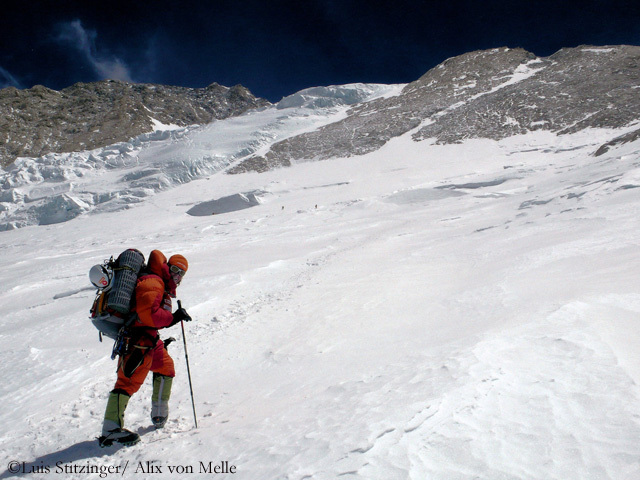 In 2013, there have been only a few ascents, Makalu has defied many attempts in recent years. How do you estimate your chance to reach the summit? It’s always hard to express in figures. I always say that the odds are fifty-fifty. 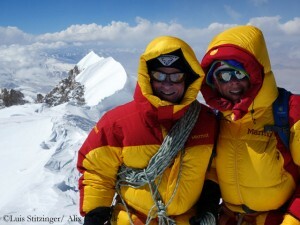 When we were on Makalu in 2010, everything looked fine, the weather seemed to be good. But on these high mountains a single factor – then it was just the continuing jet stream which had parked over the Himalayas for weeks – can be sufficient to keep you from climbing up. And then you sit at basecamp in perfect, sunny weather, twiddling your thumbs and you can do nothing. This year, the Nepalese government has adopted a lot of new regulations on Mount Everest. So there is a guarded post at the basecamp as an arbitration board. In addition, each climber must bring down eight kilos of rubbish from the mountain. Are there similar rules on Makalu? Everest is just a hotspot where international mountain tourism meets. By comparison, Makalu is very rarely visited. We have learned that this year there are some more climbers on the way to the mountain, but compared to Everest it is only a small fraction. 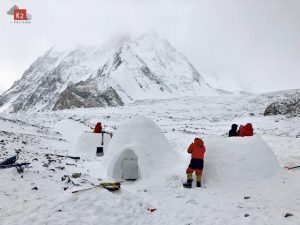 Makalu is still a relatively lonely mountain where usually not even a liaison officer is staying, because he does not want to take on the long trekking to basecamp. Usually you are amongst yourselves there. Will you contact the members of the other expeditions to share the work or will you act completely independently? You always come together and coordinate your actions. We know many of the others who will be there. With some of them we have been on other mountains. I also know the operators of the expeditions. You will always try to pull together. But we actually plan to work on the route independently, we do not want to wait until all ropes are fixed to climb up using jumars. 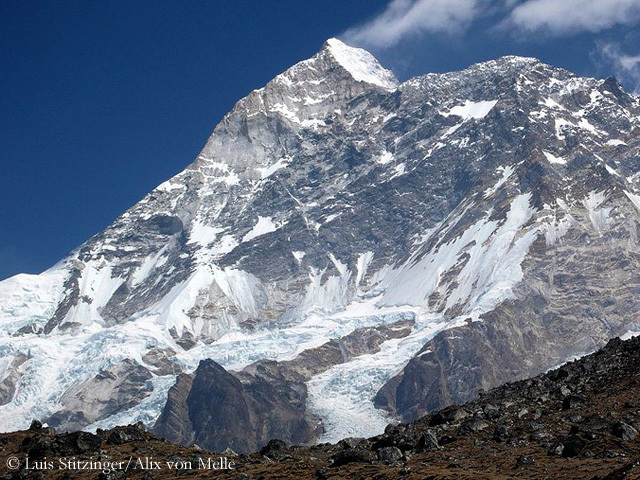 Makalu would be your seventh 8000-meter-peak. 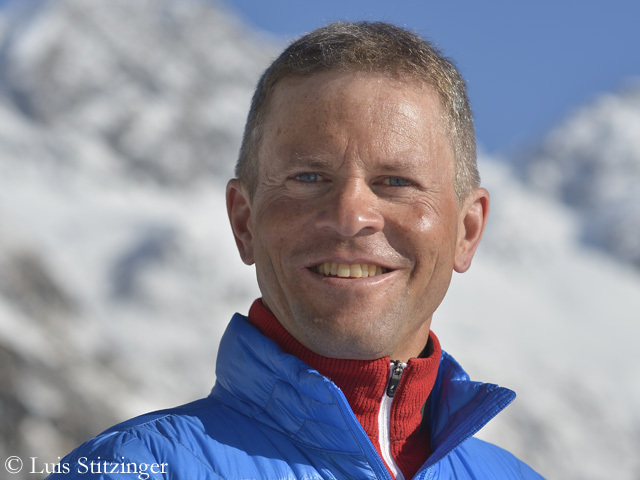 Did you approach the project in a different way compared to your first expeditions to eight-thousanders? I do think that we have got something like routine or at least experience. If you have succeeded in climbing your first eight-thousander, you wonder before trying the second: Have we only been lucky or have we done everything right? But if you have summited a few 8000ers, you realize that some systems have proved to work and that you can count on that. Makalu would be you highest eight-thousander so far. Yes, up to now we have summited the lower eight-thousanders. Our highest was Cho Oyu with 8201 meters. Now we try to climb up about 300 more meters, which means that we step into the upper half of the eight-thousanders. You will not be using bottled oxygen. For this reason you will climb in a different league if you try to get to a summit of one of the high eight-thousanders. Definitely. We are eager to climb without bottled oxygen. We would rather turn around if we realize that we do not succeed. But because we want to achieve all our goals without breathing mask, we have been moving higher very carefully. Some other mountaineers climb Gasherbrum II and then directly turn to Mount Everest, perhaps even trying it without oxygen. That would be too risky for us. We know from our own experience that every 100 meters in high altitude mean playing in a different league. There is a big difference between a mountain which is 8500 meters high and one that scratches just above the 8000-meter-mark. We climb high and higher very carefully, because up there we have minimal safety reserves without bottled oxygen. Alix and you are climbing as a couple. Have you discussed what happens if one of you loses his or her power at high altitude? Sure, we have talked about. Therefore we feel better now climbing as a trio. One helper cannot do much, but in twos it is looking already better. Two helpers, who feel good, may have a chance to bring down a weakened climber. That’s a safety factor. But if you don’t have any oxygen – due to weight reduction we will not even carry oxygen bottles for medical emergency to the high camps -, you have only limited safety reserves. This is evident. 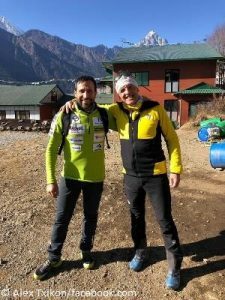 Alex Txikon Tamara Lunger Mingma Gyalje Sherpa winter expedition Lhotse Nepalhilfe Beilngries Nanga Parbat K2 Expedition Broad Peak first ascent Karakoram Luis Stitzinger Makalu Earthquake Expeditions Thulosirubari Ueli Steck Mount Everest Ralf Dujmovits K 2 Daniele Nardi Nepal Tibet Pakistan Avalanche Elisabeth Revol Cho Oyu Thomas Huber Kangchenjunga Simone Moro Amical Alpin winter ascent Tomek Mackiewicz Dhaulagiri Shishapangma Manaslu Billi Bierling Annapurna Aid project: School up!